One physician with Neuroscience Associates of Kansas City and the Neuroscience Institute at Overland Park Regional Medical Center and three physicians with Midwest Neurosurgery Associates and the Midwest Neuroscience Institute at Research Medical Center have been named Top Doctors 2012 by U.S. News & World Report. Robert M. Beatty, MD, Geoffrey L. Blatt, MD, Jonathan D. Chilton, MD, and William S. Rosenberg, MD, are in the nation’s 631 top neurosurgeons and the top 10 percent of neurosurgeons in the region. The physicians are featured in a recently released report by U.S. News of 31,000 doctors in a wide range of medical specialties. The determination of the prestigious nomination is based on nominations submitted by physicians, which are reviewed by a physician-led research team. Dr. Beatty is with Neuroscience Associates of Kansas City, which is part of Midwest Physicians, and is medical director of the Neuroscience Institute at Overland Park Regional Medical Center. He is board-certified in neurosurgery. Dr. Beatty did his undergraduate studies at Stanford University where he graduated with university distinction in honors chemistry. He earned his medical degree at the University of Utah School of Medicine and completed his residency at Peter Bent Brigham; Massachusetts General Hospital; and Children’s Hospital/Harvard. His fellowship was conducted at Harvard Medical School. Dr. Beatty is a diplomat of the American Board of Neurological Surgeons; a fellow of the American College of Surgeons; a member of the American Association of Neurological Surgeons; and a member of the Kansas City Neurology/Neurological Society, among others. Neuroscience Associates of Kansas City is a renowned practice serving greater metropolitan Kansas City. Midwest Physicians, part of HCA Midwest Health System—Kansas City’s largest healthcare network and private-sector employer—is a network of experienced, multi-specialty physicians located throughout the greater Kansas City metropolitan area. Overland Park Regional Medical Center, part of HCA Midwest Health System, was named one of the nation's top performing hospitals on key quality measures by The Joint Commission, the nation's leading accreditor of health care organizations. Midwest Neurosurgery Associates is a renowned, award-winning, five-member practice serving greater metropolitan Kansas City and rural communities in Missouri and Kansas within a 150-mile radius. Research Medical Center, part of HCA Midwest Health System, was ranked No. 3 in the Kansas City metro area in U.S.News & World Report's first-ever Best Hospitals metro area rankings in April 2011. 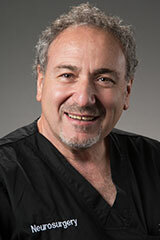 Dr. Blatt is board-certified in neurosurgery and has practiced in Kansas City for 20 years. Dr. Blatt earned his medical degree at the University of Kansas School of Medicine and completed his residency at State University of New York, Buffalo. His fellowship was conducted at Brown University in Rhode Island. Dr. Blatt has served as the president of state and local neurosurgical societies as well as the National Council of Neurosurgery. He has special training in complex spine and spinal instrumentation, endoscopic and minimally invasive surgery, radiosurgery, and neurovascular surgery. Dr. Chilton is board-certified in neurosurgery and has practiced in Kansas City for 24 years. 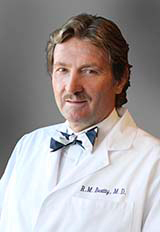 He received a master of public health degree from Columbia University in New York City and attended medical school at the University of Rochester School of Medicine and Dentistry in Rochester, N.Y.
Dr. Chilton completed his neurosurgery residency at Georgetown University Hospital in Washington, D.C. in 1988, including training in pediatric neurosurgery at Children's Hospital National Medical Center in Washington, D.C., and training at the Atkinson Morley's Hospital in London, England. He completed board certification in neurosurgery in 1991 and is a diplomate of the American Board of Neurological Surgeons. Dr. Chilton is the director of the Midwest Gamma Knife Center, which was the first dedicated cranial radiosurgery facility in the five-state Midwest region, and is the director of The Center for Facial Pain at the Midwest Neuroscience Institute, which offers comprehensive care for the diagnosis and treatment of all types of facial pain, including trigeminal neuralgia. His other areas of subspecialty interests include brain tumor and spine surgery. Dr. Rosenberg attended Harvard Medical School in Boston, Mass. in 1987 and completed his neurosurgical residency at Massachusetts General Hospital in 1993. He is a fellow of the American Association of Neurological Surgery and a diplomate of the American Board of Neurological Surgery. 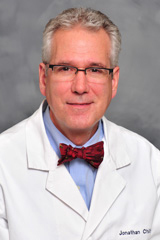 Dr. Rosenberg began his career with the Mayfield Clinic in Cincinnati, Ohio, where he was director of Neurotrauma and Neurocritical Care at the University of Cincinnati and specialized in complex spinal surgery. Dr. Rosenberg was then recruited to co-direct the Neurospinal Disorders Program in the Department of Neurosurgery, University of California, San Francisco, from 1998-2002, where he co-founded the Spinal Biomechanics Laboratory at the University of California, Berkeley. 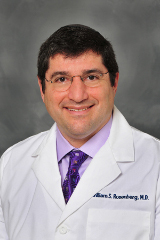 Dr. Rosenberg left academic neurosurgery in 2002, joining Midwest Neurosurgery Associates out of a desire for greater focus on patient care and the ability to spend more time with family. In Kansas City, Dr. Rosenberg continued to pursue interests in complex spinal surgery. In addition, he expanded his area of expertise to include the treatment of chronic and cancer-related pain, founding the Center for the Relief of Pain. Dr. Rosenberg is actively involved in treating patients in pain with such modalities as intrathecal pharmacotherapy, peripheral nerve, spinal cord and deep brain stimulation, and neuroablation such as cordotomy and myelotomy.